There are many awful things in the proposed budget that came out today, and certainly right up there is the proposed 20% cut to the NIH. 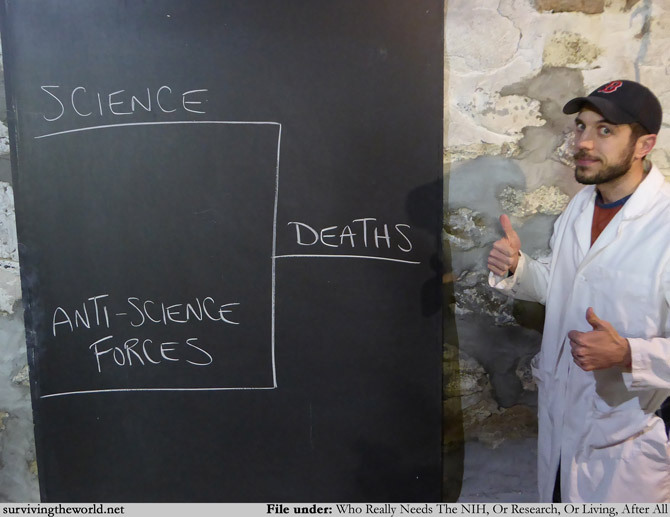 Honestly, if you want people to die, there are a number of lines in the proposed budget that will get you there, but cutting into a major source of research that allows for new medicines and new treatments to be produced, that would drive science elsewhere, that would set back discoveries and breakthroughs for significant periods of time? Yeah, this is one way to do it. If you prefer, I've put all the bracket comics from all nine years of them on a single page for you to peruse and enjoy!